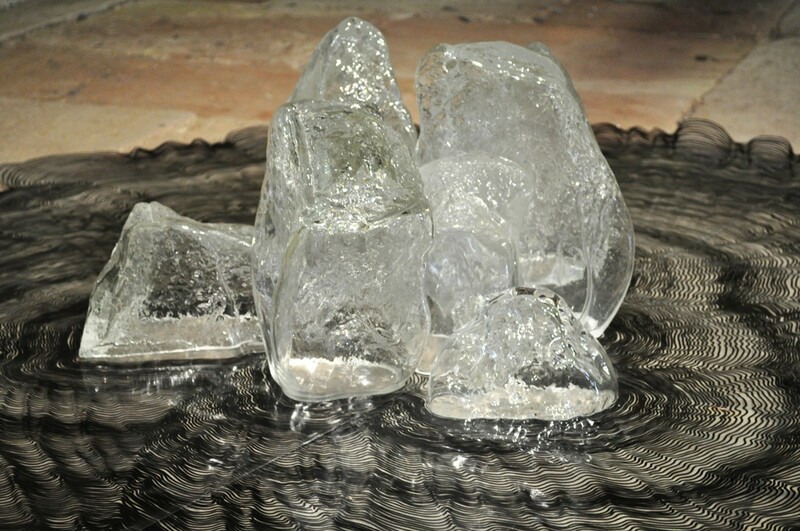 There used to be a glacier in the Vosges. 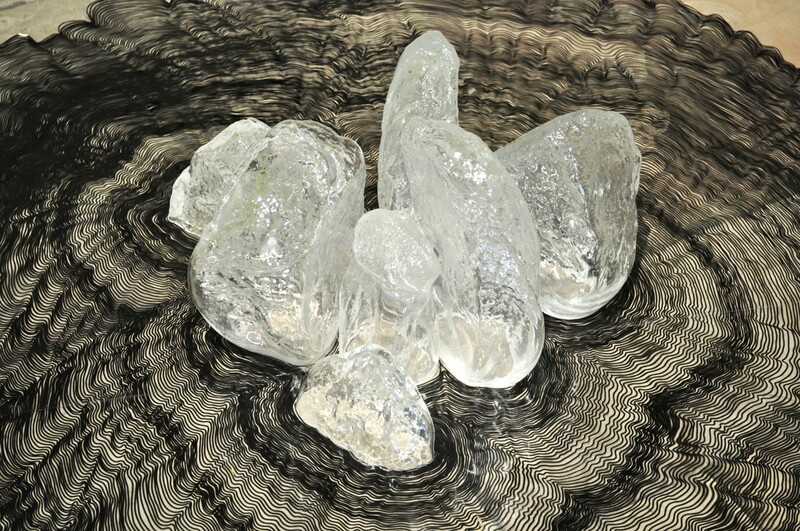 Its rocks in crystal that were blown in an art studio in the Vosges are laid at the center of a topography which is made of concentric curves; they are a fragile testimony to this bygone era. 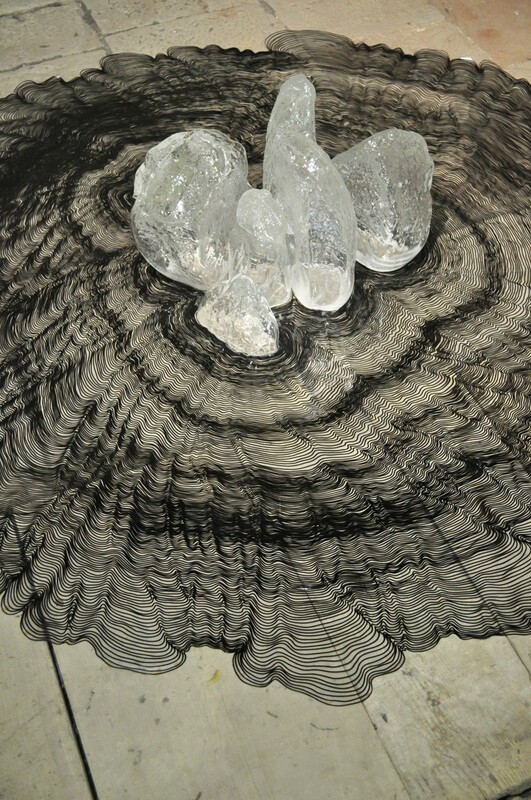 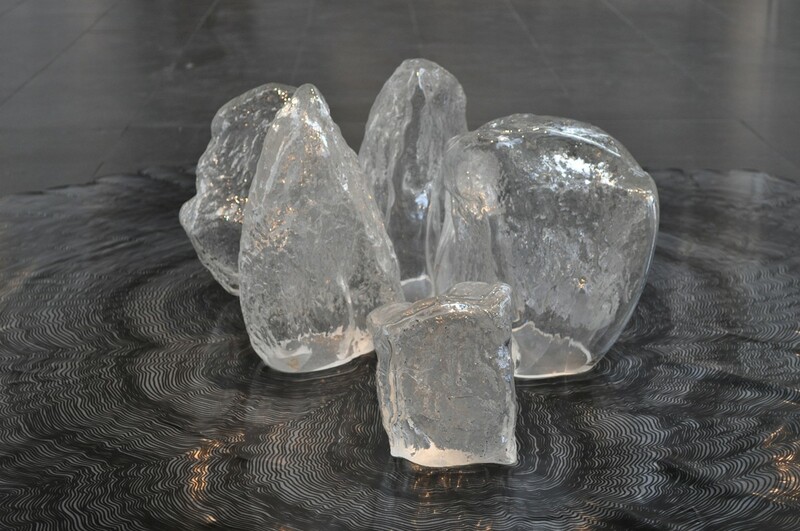 Thanks to the crystal that allows to work with molds and imprints, Mathilde Caylou shapes the materiality of geographical and geological phenomena that are imperceptible to the human eye.